Everyone needs a pen to take notes during presentations, to sign documents, make a list of important things, to fill forms during events. And this makes personalized pens an effective tool for offline marketing. Distribute these customized pens with details representing your business in various events, meetings, fests to spread the word out. Printyo offers personalised pens printing services all across the UK. You can select the pen quality of your choice to suit our budget. 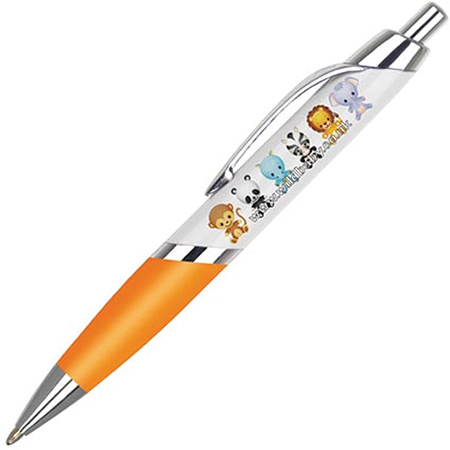 Our personalized pen printing business is performed using state-of-the-art pen printers. You can choose from Plastic Pens, Metal pens, Eco-friendly Pens, Wooden Pens, Engraved Pens, Executive pens, Fountain pens, Retractable Pens, Twist Action Pens, Rollerball pens etc. If you require a bulk quantity of pens in a short span of time, you can choose from our personalised business pens printing services. We will be available to assist you during the whole print process. Other than pens you can choose from wide range of printing services like calendar printing, brochure printing, roller banner printing, window stickers printing. You can even place an order just by calling us at 0207 993 5898 or by emailing us your print requirements at [email protected] We will get back to you at the earliest to discuss all the design patterns and ideas that will help you in branding your business better.